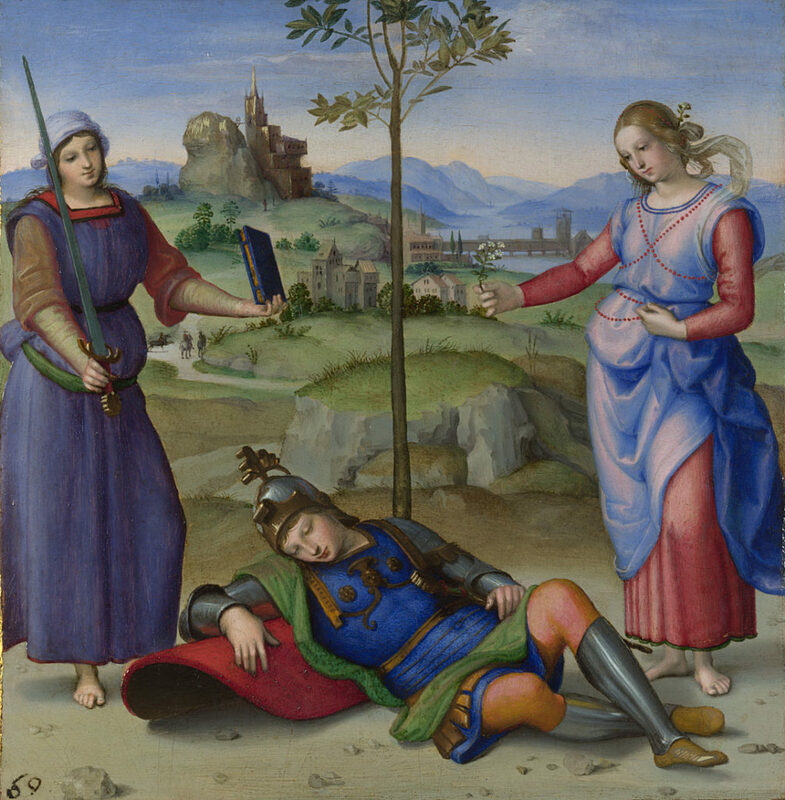 Join National Gallery guides for an audio-description and discussion of this month’s art through words painting Raphael, “An Allegory (‘Vision of a Knight’)”. This tiny painting was intended to be held in the hand and examined closely, like a precious jewel or miniature. It is an early work by Raphael, made in about 1504. He combined a wonderful variety of vivid colours with exquisite minutiae of detail and is thought to illustrate an episode in Punica, an ancient Latin epic poem on the Punic Wars, by Silius Italicus.